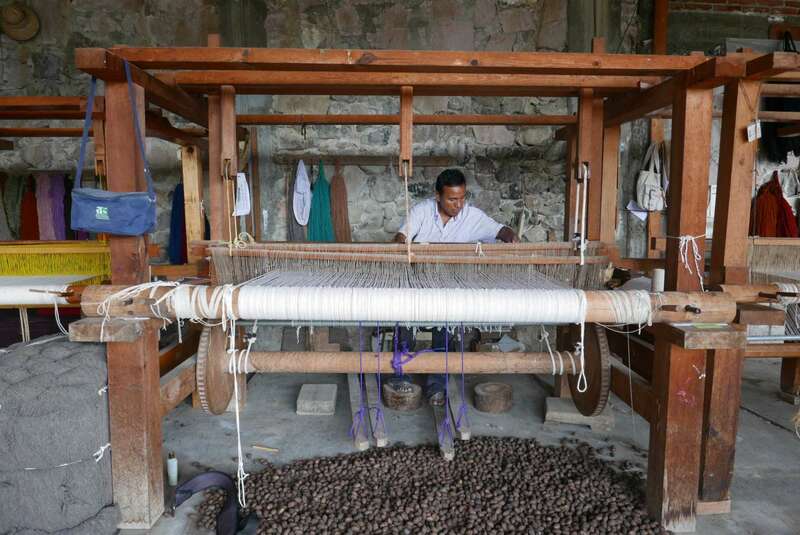 Weaving in Teotitlán del Valle dates back to at least 500BC. 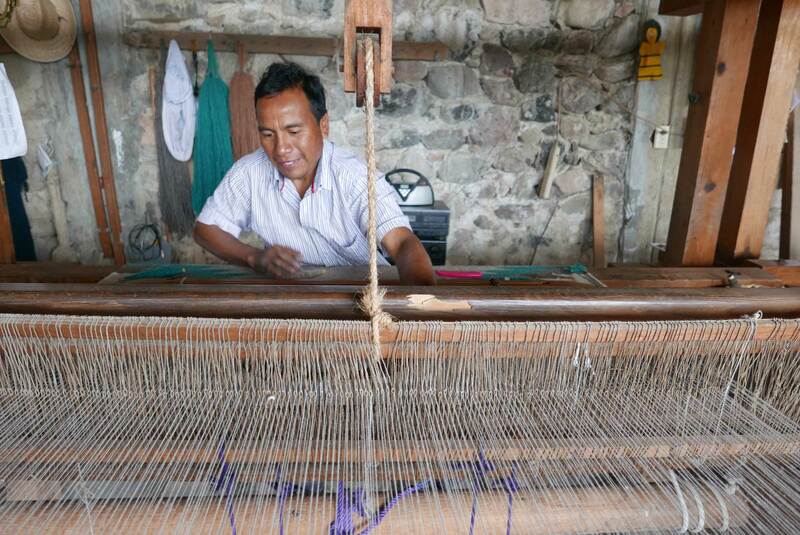 However, the history of Zapotec weaving changed when the Spanish arrived in the 1500s. They brought with them sheep. The introduction of foot pedal looms and spinning wheels meant that rugs and other woollen products could be made larger and more quickly. 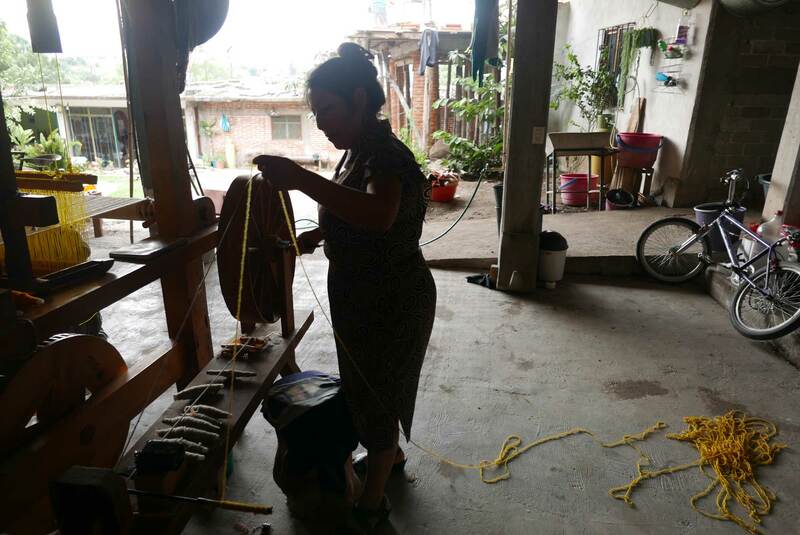 Today almost all households in Teotitlán can be seen to have a loom inside, and a man peddling behind it weaving traditional Mexican Zapotec Rugs. Once they shear the sheep, the wool is washed using Amole a soap root which acts as a natural insecticide. The wool is then carded and spun into yarn. The yarn is tied into bunches and dyed using natural colours derived from plants and the cochineal insect. Different recipes can achieve a wide range of colours. The wool is then hung out to dry. This may take a while during rainy season. The yarn is then fed though a spinning wheel onto a reel which sits in a shuttle, ready for weaving. 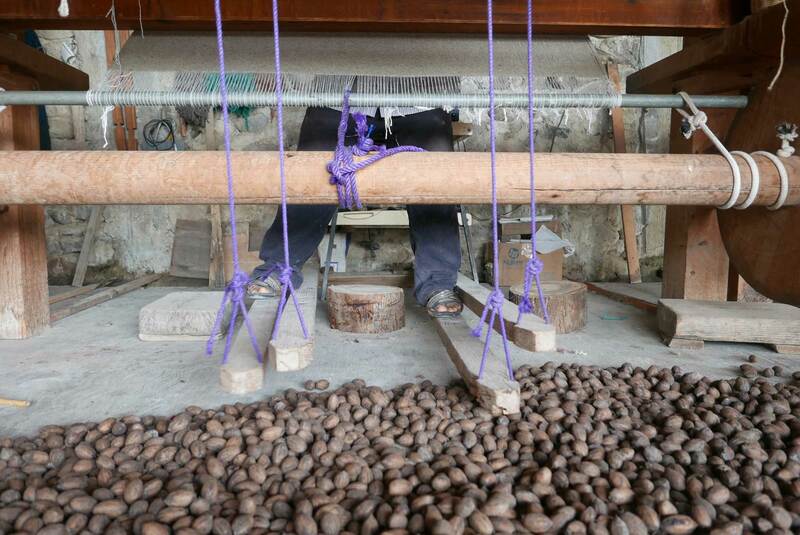 Traditionally it is the men who operate the foot pedal loom, as it can be physically demanding work. 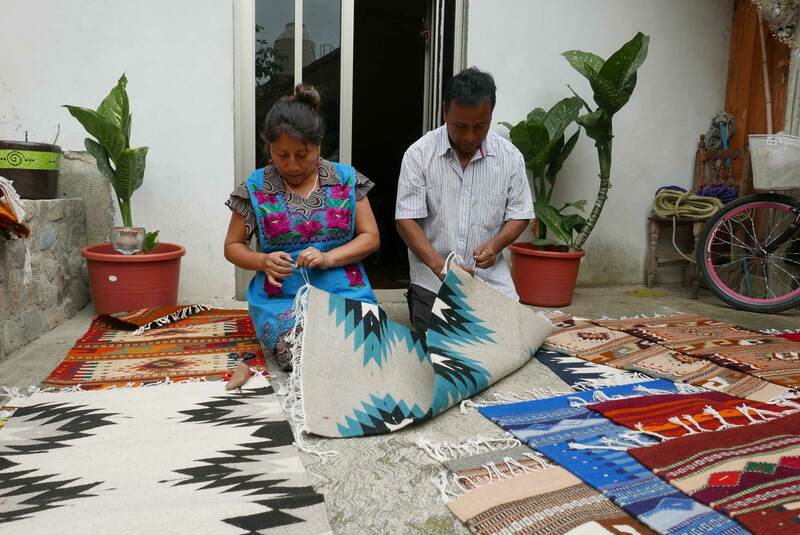 Depending on the complexity of the design and size, it can take between 1-4 weeks to make one Mexican Zapotec Rug. Traditional Zapotec rug designs feature images representing the landscape, the climate and the archaeological ruins such as Mitla and Monte Albán in the Oaxacan Valley.